Join us Tuesday, December 20th at 3:00 PM Central (21:00 UTC) on Twitch for our monthly Hangout of the Avatar! The team will be chatting about the upcoming Release 37, the recent holiday events, and looking ahead to what’s going on in the next year! As always, we will be giving out rare Lord British artifacts of immense power and glory, and answering your latest questions. For a chance to win an artifact, or to speak your voice on the latest game changes, be in Discord chat during the livestream. There will be multiple chances to win throughout the broadcast! Avatars! Are you ready to join us on Twitch and continue celebrating the biggest event to hit New Britannia since the great cataclysm itself? 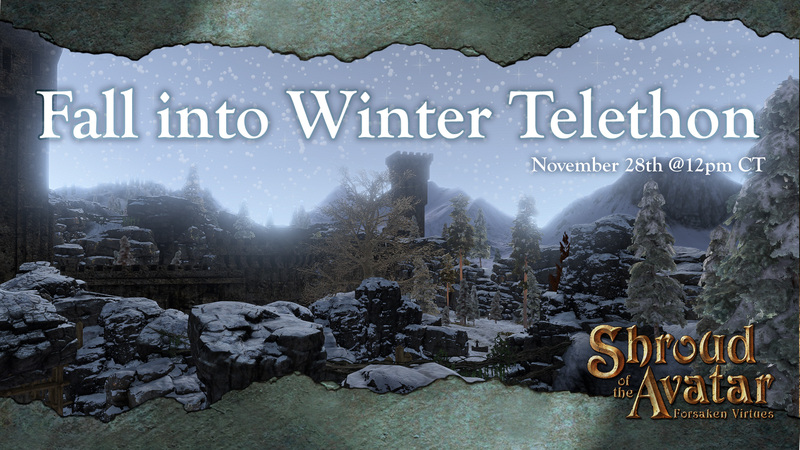 Today, we’re announcing the ‘Fall Into Winter’ Telethon! Help us to achieve the following goals during this next event! 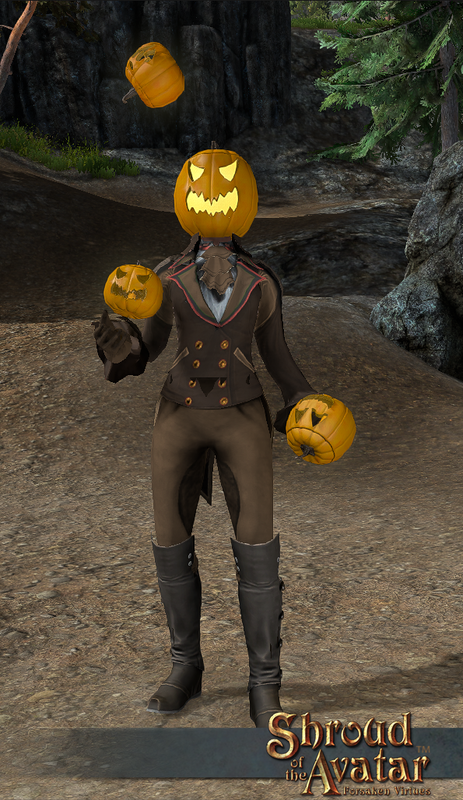 Join us Thursday, November 10th at 3:00 PM Central (21:00 UTC) for our monthly Hangout of the Avatar! The team will be chatting about Release 35 and looking ahead to the Fall into Winter telethon later in the month! 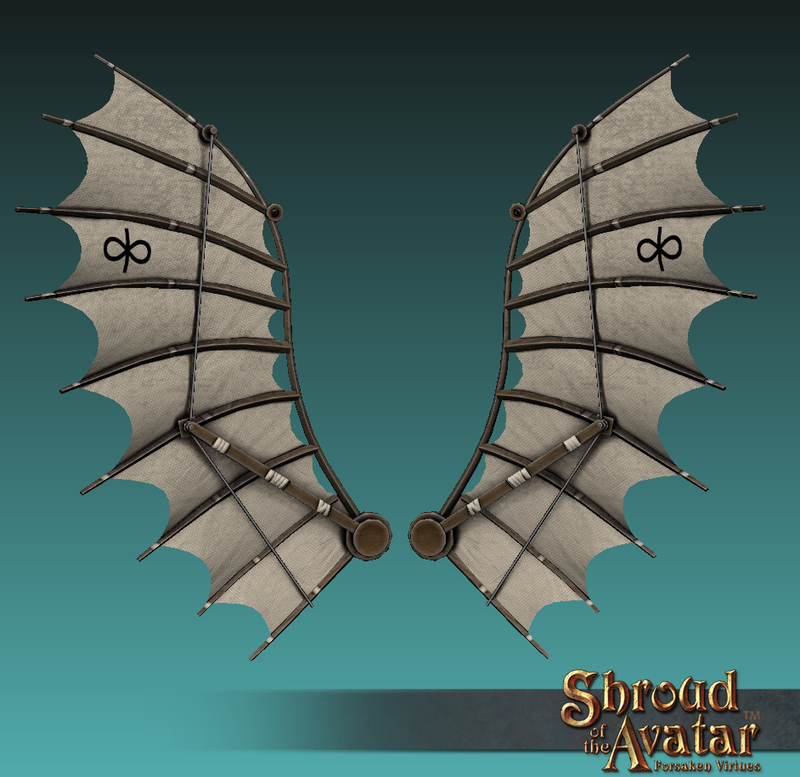 Join us Tuesday, October 11th at 3:00 PM Central (20:00 UTC) for our monthly Hangout of the Avatar! The team will be chatting about Release 34 and looking ahead to Release 35. 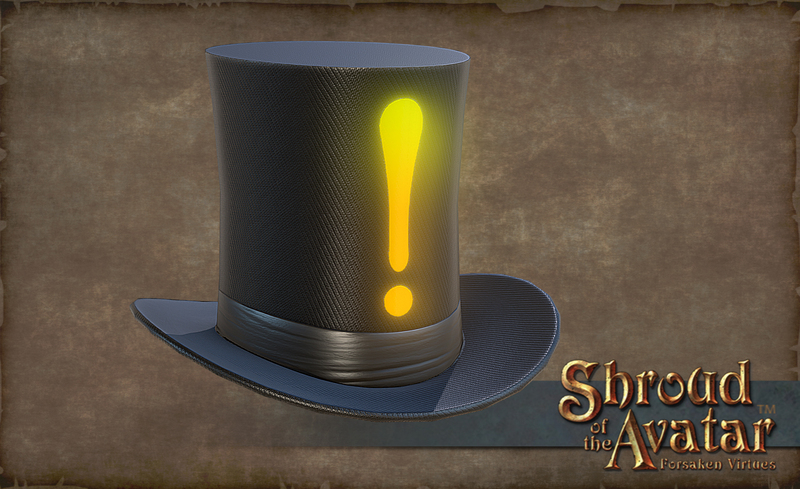 Tweet with us @ShroudofAvatar to keep updated on the latest SotA livestreams and game news! 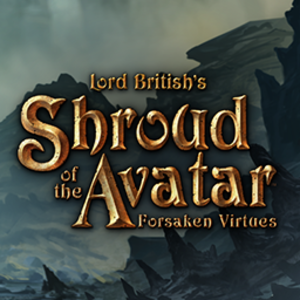 Join us Friday, September 9th at 3:00 PM Central (20:00 UTC) for our monthly Hangout of the Avatar! The team will be chatting about Release 33 and looking ahead to Release 34. 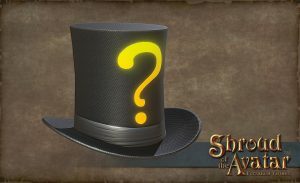 As always, we will be giving out rare Lord British artifacts of immense power and glory, and answering your latest questions. For a chance to win an artifact, be in Discord chat during the livestream. There will be multiple chances to win throughout the broadcast! You will also be able to watch directly on YouTube: www.youtube.com/portalarium! The final recording will be archived on YouTube after the event as well. If you wish to win prizes, be in Discord or IRC chat during the livestream! Post your questions in the comments below. Only one post submission allowed, and keep questions to 3 or less. This will allow us to get to as many players as possible. Questions and feedback related to this release’s specific topics will be given priority and really verbose questions may be skipped, as they can be a challenge to shorten and summarize live on the air. In brief… please keep your questions… brief. Tweet with us @ShroudofAvatar during the Hangout! Avatars! Are you ready to continue celebrating with us the biggest event to hit New Britannia since the great cataclysm? At Midnight CDT (5:00 UTC) on August 22, 2016, we are expiring ALL remaining pledges, including: Adventurer, Founder, Royal Artisan, Explorer, Ancestor, Edelmann, Knight Marshal, Lord Marshal, Duke, and Lord of the Manor 2. To commemorate the final expiration of all remaining pledges, we are holding the 12-hour Summer Telethon Part 2, starting at 12:00 pm CDT (17:00 UTC) and running right up to the Final Pledge Expirations at Midnight CDT (5:00 UTC). What exciting events can you expect throughout the day? 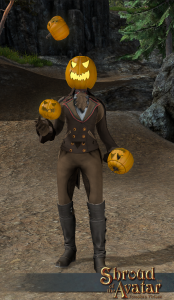 An array of fun activities and engaging content, many of which you can directly participate in with us in-game! We will also be giving away a ton of fabulous prizes*, and if the following stretch goals are met, we will be adding amazing new content into the game. Did you see what was unlocked during last month’s telethon? Let’s make it happen again in Part 2! Help us to achieve the following goals during the telethon! Avatars! Are you ready to participate in the biggest event to hit Novia since the great cataclysm? 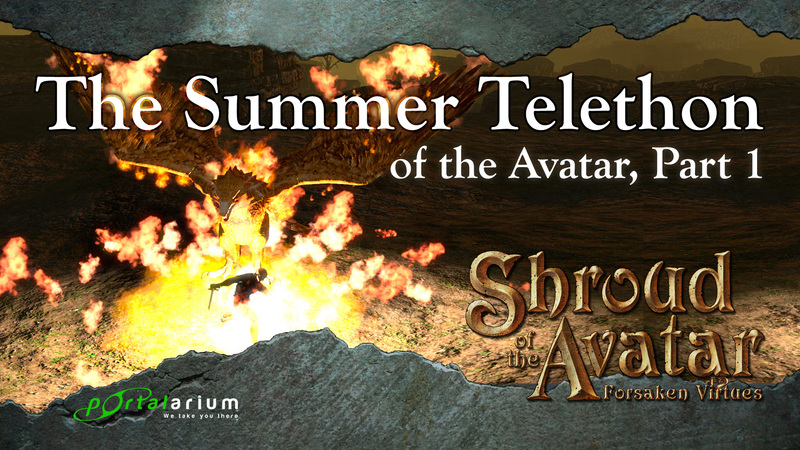 Like no other world-ending event in the history of gaming, the first part of The Summer Telethon of the Avatar event is nearly upon us! 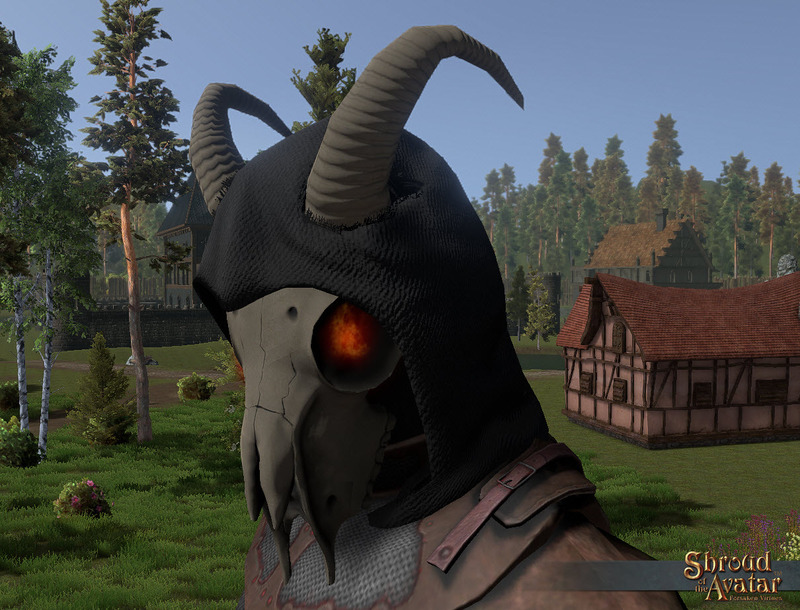 For 12 hours, starting at Noon (12 PM CDT) until Midnight on July 27th, we will be celebrating the lead up to the Final Player Data Wipe; where persistence officially begins in our game and housing lot selection begins in earnest. What exciting events can you expect throughout the day? An array of fun activities and engaging content, many of which you can directly participate in! 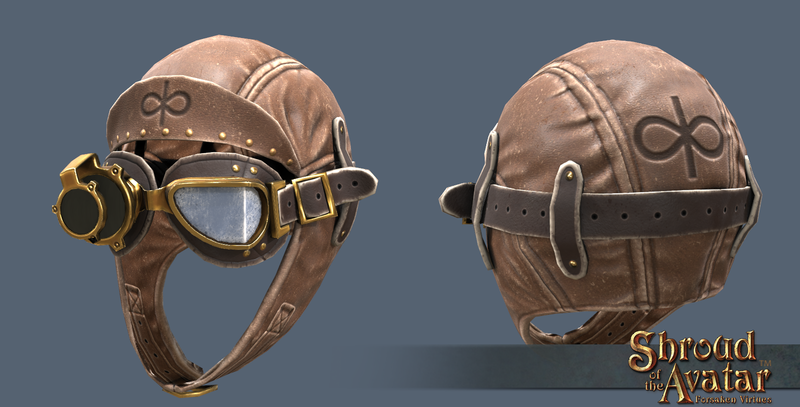 We will also be giving away a ton of fabulous prizes*, and if the following stretch goals are met, we will be adding amazing new content into the game. Additionally, we will be spinning the Wheel of Fortune & Doom! (we borrowed this idea from our friends over at Crowfall). The wheel will have 14 items at any given time, but dozens of total prizes ultimately will be given away! This includes developers that, if selected, have to either dance, sing, or drink a shot of alcohol. As the wheel is spun, what is selected will be replaced by something in the list below. Items already selected will be permanently removed. Keep in mind that some of these may never come up, so cross your fingers for your preferred item! Sword of Midras audiobook AND hardcover copies! Noon: Welcome to the Summer Telethon! 1:30 PM: Brittany Tour with Sorcerous Steve. 2:30 PM: Tour of Portalarium. 3:00 PM: New User Experience & Hospitallers. 4:00 PM: Crafting, Enchanting, Masterworks Discussion. 6:00 PM: The Story and Characters of SotA. 7:00 PM: Player Housing Discussion with Darkstarr. 8:00 PM: Crowns of the Obsidian, smoking pipes, and Artifice with Scottie and Sir Frank. 9:00 PM: AMA live chat question time with team. Locations: Brittany Central, Aerie, Resolute, Ardoris, Owlshead, Desolis, Spite, and a selection of Player Owned Towns (final list soon). Midnight: Final Player Data Wipe! Servers will be offline until 9:30am CDT on July 28th. Watch The Telethon on YouTube! New Twitch Channel Now Live! 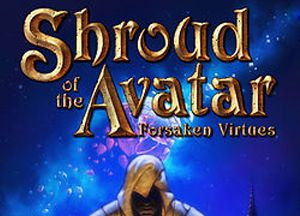 You will also be able to watch the telethon on at Twitch.tv/Shroudoftheavatar! If you wish to win prizes during the Telethon event, be sure to still be in Discord chat! While Final Player Data Wipe is NOT “Launch” of our game, we are super happy to be at such an important milestone with our community of backers. We couldn’t have built the game nearly this far in its development without the support and feedback of everyone playing. There’s a lot more to go yet, but we’re about to cross a major hurdle this summer, and can’t wait to cross it with you! At 11:59 PM CDT (5:00 UTC) on July 27th, we are expiring the homes and basements from the Ancestor, Edelmann, Knight Marshal, Lord Marshal, Duke, and Lord of the Manor 2 pledges. We are also expiring new Player Owned Towns (upgrades of existing POTs will continue to be available). All other rewards (including tax free property deeds) that are currently available in the remaining pledges will continue to be available. The final player data wipe will also occur at 11:59 PM CDT (5:00 UTC) on July 27th. To celebrate this momentous milestone, we are holding a 12-hour Summer Telethon Part 1, starting at 12:00 PM (Noon) CDT (17:00 UTC) and running right up to the final player data wipe start. Servers will be brought offline after 11:59 PM CDT on July 27th until 10:30 AM CDT the next morning on July 28th. This gives us enough time to ensure servers are properly cleared and ready for the beginning of Release 32 and the exciting opportunity to make your mark in Novia! See you on the livestream chat at Noon this coming July 27th! After July’s telethon, we will also be holding a second event on August 22nd. At 11:59 PM CDT (5:00 UTC) on August 22, 2016, we are expiring ALL remaining pledges, including: Adventurer, Founder, Royal Artisan, Explorer, Ancestor, Edelmann, Knight Marshal, Lord Marshal, Duke, and Lord of the Manor 2. * There will be some really awesome prizes awarded during the telethon, but you have to be present in the Discord chatroom to qualify for each drawing. Please keep in mind that questions and feedback related to each segment will be given priority and really verbose questions may be skipped, as they can be a challenge to shorten and summarize live on the air. In brief… please keep your questions… brief. Only 3 Questions per person. 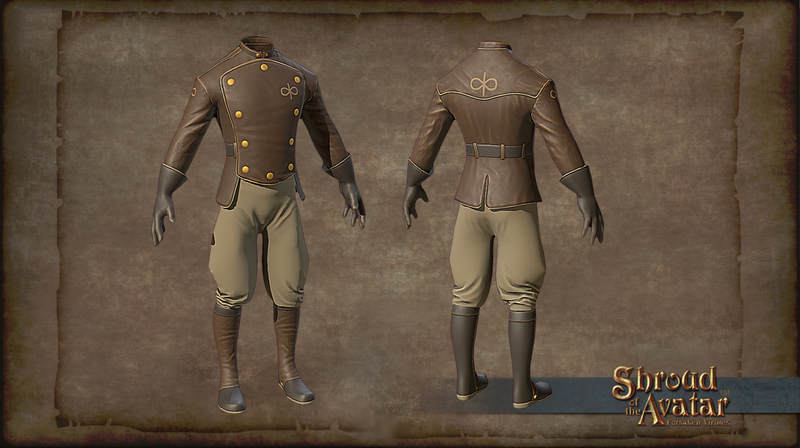 Update of the Avatar #184 – 2016.07.08: R31 Postmortem, Lord British & Darkstarr Blood Reliquaries, Spite, Pipes, and More! 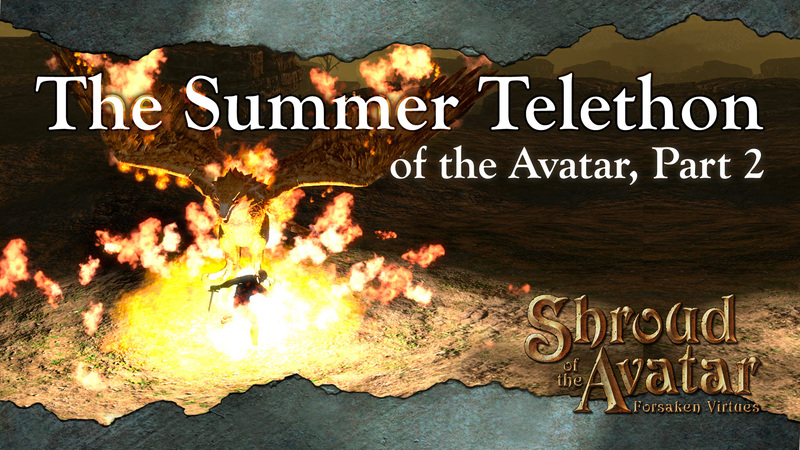 Join us Thursday, July 7th at 3:00 PM Central (20:00 UTC) for our monthly Hangout of the Avatar! The team will be chatting about Release 31 and looking ahead to Release 32 (important updates coming this week on R32!). 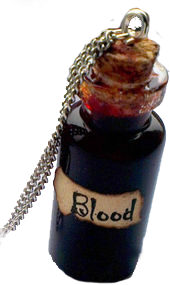 And of note, let it be known that Lord British and Lord Darkstarr will play host to a special reliquary event… and blood will be spilled! Consider the squeamish among you forewarned. As always, we will be giving out awesome swag, and answering your questions. For a chance to win a prize, join Discord chat during the broadcast. Be sure to stick around throughout the Hangout for multiple chances to win! 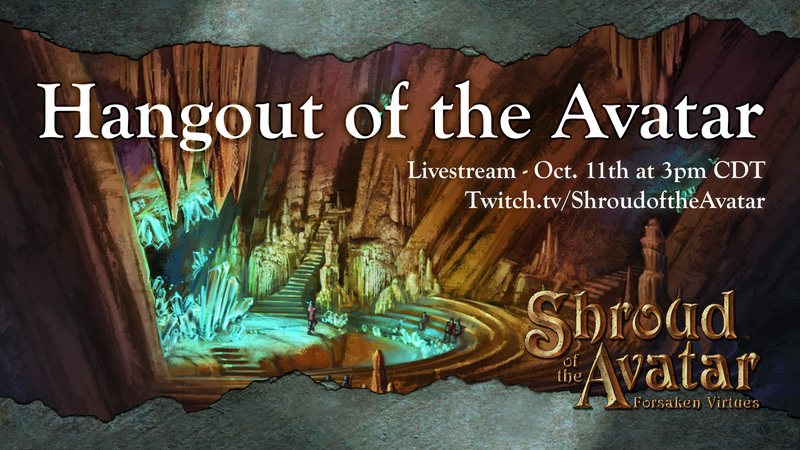 Tweet with us @ShroudofAvatar during the Hangout to know when a winner has been announced! Post your questions in the comments below! Only one post submission allowed, and keep questions to 3 or less! This will allow us to get to as many players as possible. Please keep in mind that questions and feedback related to this release’s specific topics will be given priority and really verbose questions may be skipped, as they can be a challenge to shorten and summarize live on the air. In brief… please keep your questions… brief. Tuesday Stream of Atos Shipping and asnwering questions!